VP Records, the world’s largest reggae music company, announces a year-long calendar of activities in celebration of its 40 years in the United States. The year will feature a variety of music and cultural events, products, historical exhibits and experiences, in Jamaica, across the U.S., Toronto, Canada and London, England. Marketing Caribbean culture and island lifestyle through music, events and merchandise, VP Records has been at the heart of reggae, dancehall and soca for 40 years. From Dennis Brown, Barrington Levy, and Freddie McGregor to Sean Paul, Beenie Man, Lady Saw, and Tarrus Riley, VP Records has become home to some of the biggest acts in reggae music. The label’s current roster includes Alborosie, Jah Cure, Raging Fyah, Gyptian, Beres Hammond, Queen Ifrica, Ikaya, Jah9, Fay-Ann Lyons, Christopher Martin, Maxi Priest, Busy Signal, Spice, Romain Virgo, and Spiritual. Since 1992, VP Records has consistently produced one of the most anticipated compilation albums each year, Strictly the Best. The series presents the hottest songs and breaking artists from Dancehall and Reggae. To kick off its 40th anniversary celebration, VP Records will launch Strictly the Best Volumes 58 & 59 in Montego Bay, Jamaica at Usain Bolt’s Tracks & Records restaurant. The event will include performances by Alborosie, Christopher Martin, Shenseea, TeeJay and Raging Fyah as well as guest appearances from some of Reggae music’s biggest stars. A two-hour segment will be broadcast live via RETV in Jamaica and worldwide over the VP Records YouTube channel. VP Records will also host watch parties for the event in New York, Miami, Atlanta, Los Angeles, and Toronto. A curated year-long visual and musical journey chronicling VP Records’ illustrious history, the installation will be at the departure terminals in Sangster International Airport in Montego Bay, Jamaica from January to June and then at Norman Manley International Airport in Kingston, Jamaica from July to December. Where there is music, there is culture. Where there has been reggae music, the sons and daughters of Jamaica have also been. The Reggae Trail will be an interactive digital experience that features a map of historical locations throughout the five boroughs of New York City central to the growth of the Jamaican music industry and VP Records. Users will learn how the growth of Jamaica’s music abroad shadowed the migration patterns of its populace and how VP Records played an ongoing role in the growth of the music. To commemorate the annual celebration of vinyl culture, four newly issued vinyl exclusives are expected for release. Locally, VP Records will present a live sound system showcase. Events will be held at VP Records’ retail outlets at 170-21 Jamaica Avenue in Jamaica, New York and at 6022 SW 21st St. in Miramar, Florida. VP records will be celebrating its 40th anniversary with at least three major live concerts in the New York City area this summer, including the 9th staging of the Grace Jamaican Jerk Festival at Roy Wilkins Park in Queens on Sunday July 21st. Details on additional locations and featured acts is forthcoming. A retrospective look at the vast catalogue of hits and rarities from VP Records, this box set will showcase the record label’s contribution to reggae music. 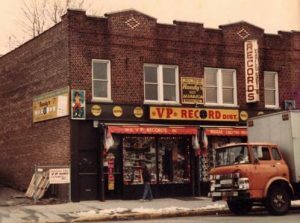 VP Records was started as Randy’s Record Mart, a record store in Kingston, Jamaica. Under the enterprising and entrepreneurial leadership of its founders, Vincent and Patricia Chin, this mom and pop business would evolve over time into a record label and distributor with global reach. The Chin family’s ability to keep its fingers on the pulse of what the people want while adapting to where the record business is heading is what has fueled the label’s ability to stand the test of time.